Shreds Unlimited can create a customized document destruction program that suits your company’s specific needs. 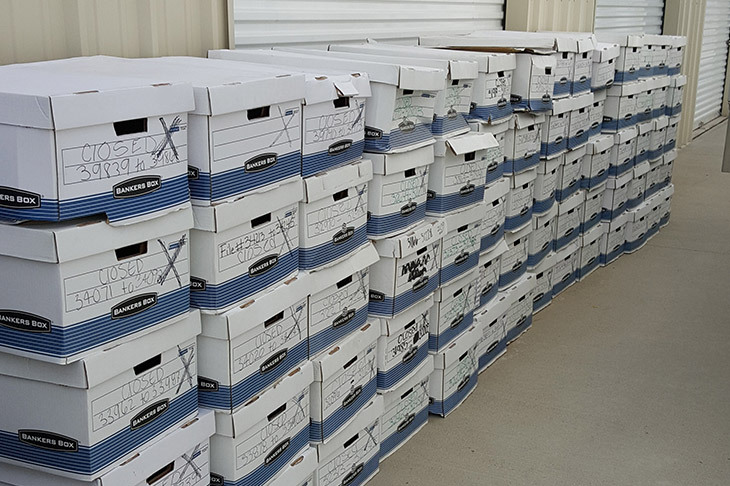 We offer on-site document destruction on a regularly scheduled or one time basis. Whether its once a month, bi-weekly or weekly, you can rely on the expertise and professionalism of our trained document destruction technicians. Your documents will be kept secure throughout the collection and destruction process. We offer free analysis of your business to determine your specific shredding needs. We also provide free, locked and slotted security containers which range in size, from small laminated office consoles to 40, 55, 64 or 95 gallon bins for secure on-site document destruction. With our shredding services, you never need to spend valuable time removing staples, paper clips, binders or fasteners from your documents. We have extensive experience working with hospitals, doctors, clinics, accountants, auto dealerships, mortgage and escrow companies, schools, colleges, attorneys, Insurance companies and many more. 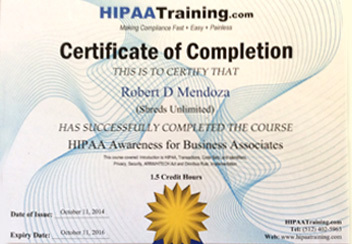 We are HIPAA compliant, insured, and bonded by the state of California.